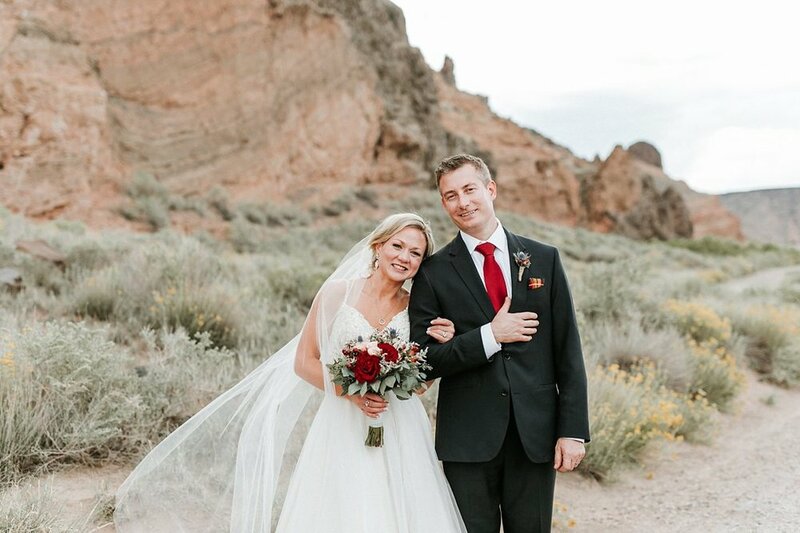 Erik and Jessa’s little love story began about six years ago when they met by chance at work and even though Jessa left for a new position in California, her and Erik remained in touch. 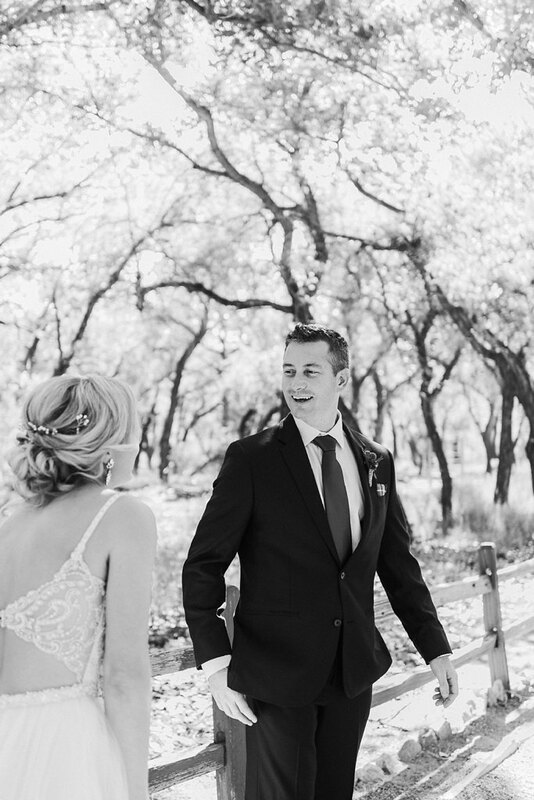 A few months after Jessa’s move, Erik came to visit her and they’ve been together ever since. 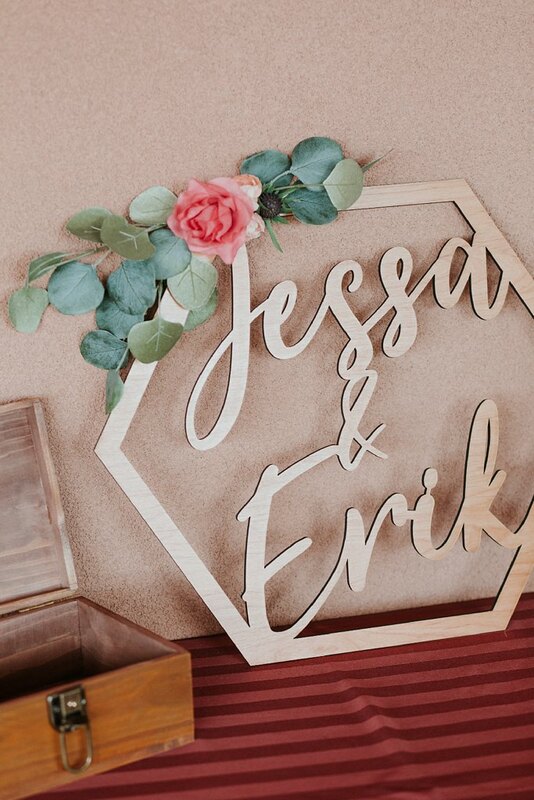 Erik proposed in 2017 while he and Jessa were on vacation in Puerto Vallarta over breakfast on the beach! 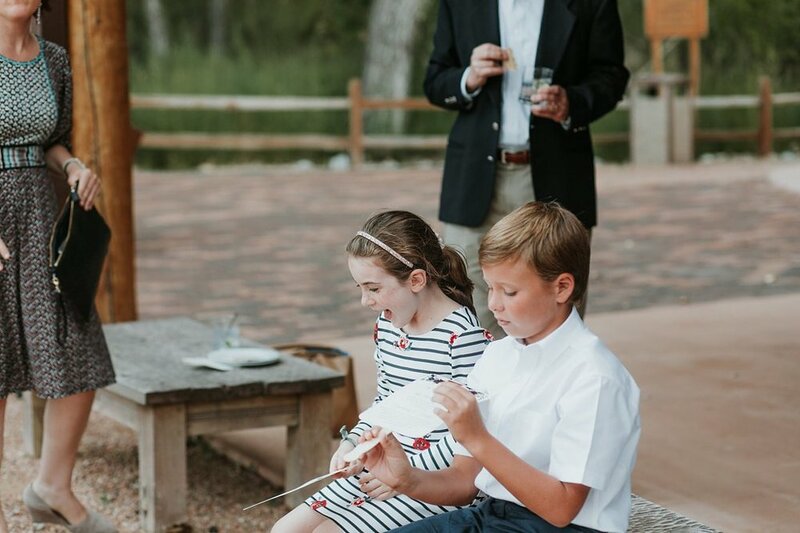 He put all of the sweet little notes they had wrote to each other over the years into a box that also contained an engagement ring and Jessa was over the moon to say yes! 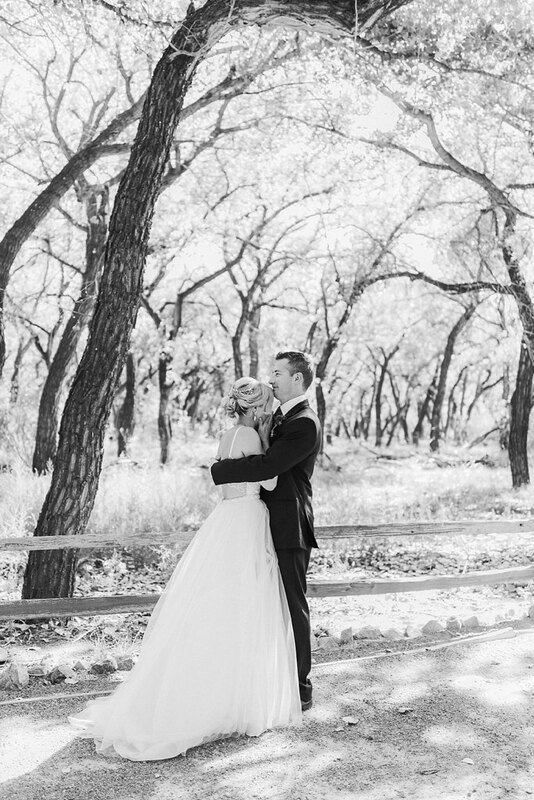 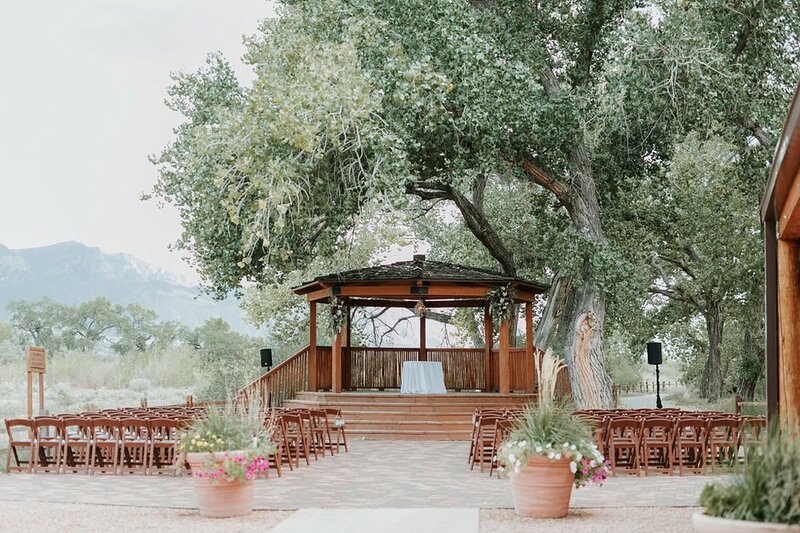 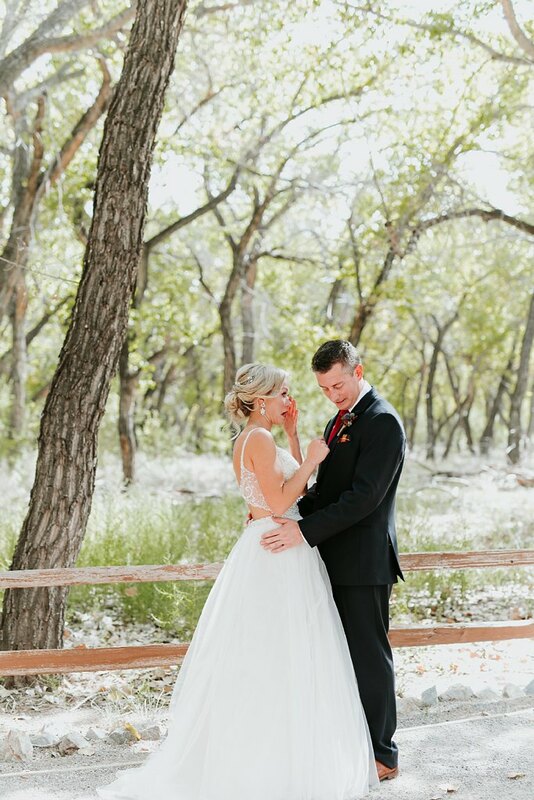 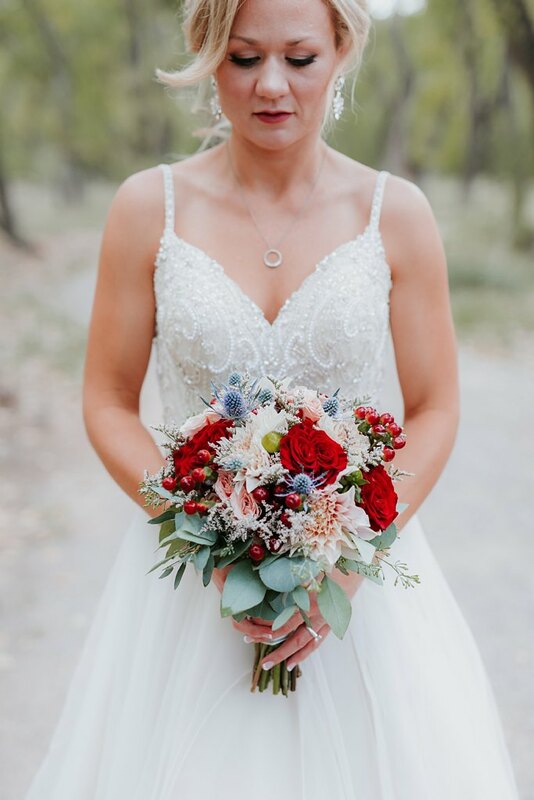 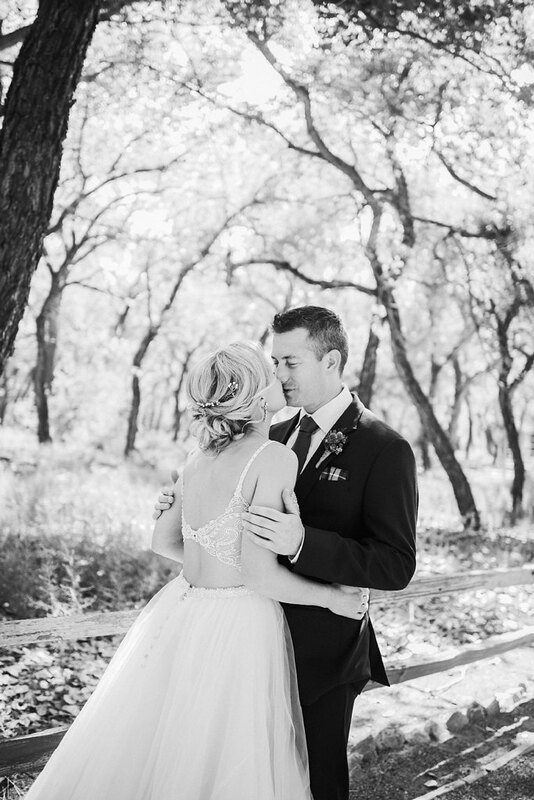 The ever charming Hyatt Tamaya in Bernallio, New Mexico incorporates both indoor and outdoor wedding aspects, making it the perfect venue choice for these lovers. 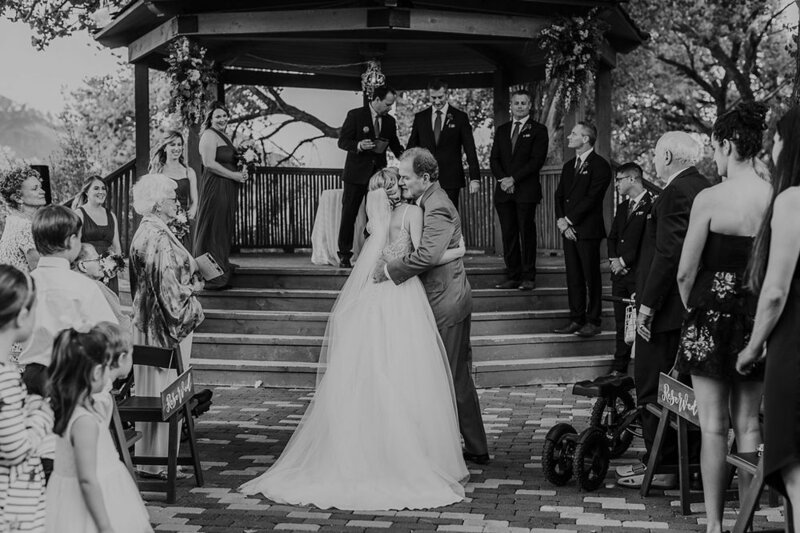 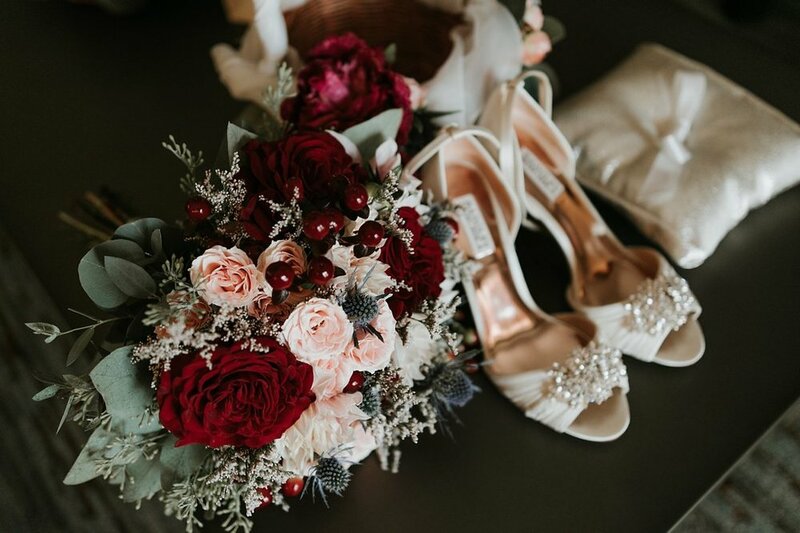 Erik and Jessa also included Erik’s Scottish ancestry (the Buchanan family) into their ceremony with some of the coolest details! 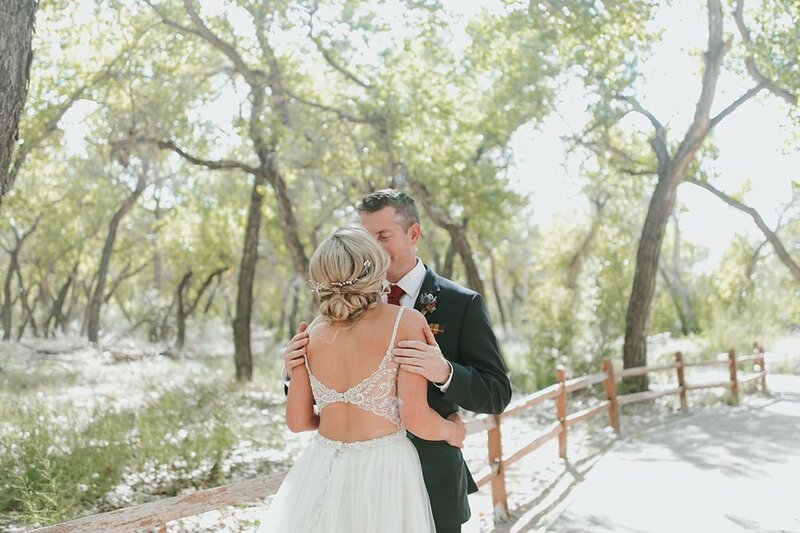 From bagpipe players during cocktail hour to using the Buchanan tartan for Erik and his groomsmen’s pocket squares to custom medallions of the Buchanan crest on each guest’s plate to including Blue Scottish Thistle in all of the florals, these lovers brought an incredible Scottish vibe to their modern, late-summer wedding. 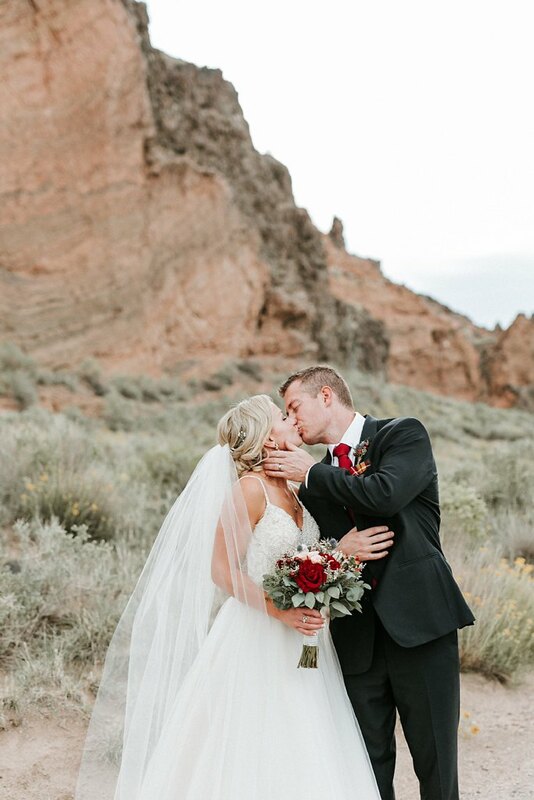 Congrats lovers, being a part of your day was sooo incredibly special to us!